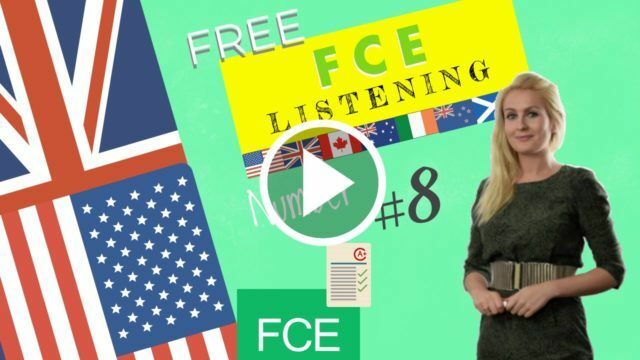 FCE Course Lesson 38 – Listen to the dialogue of the B2 first practice test and then answer the questions 9. Last week, the world witnessed possibly the biggest blunder live television has ever seen. During the final of Britain’s next top model, presenter Sarah Murdoch announced the winner of the show, before revealing that there had been a mistake and Kelsey Jones was in fact the runner-up, making room for Amanda Davies to be crowned the actual winner. Murdoch has said that she still feels physically sick about the mistake, explaining that the results of the public vote weren’t fed to her correctly. Audiences across the country were bewildered as they saw the colour drain from Murdoch’s face who listened intently to her earpiece and began shaking her head, interrupting Kelsey’s acceptance speech to deliver the devastating blow. It was undoubtedly one of the most cringeworthy pieces of television from the past few years and has led Murdoch to joke that she will be sticking to pre recorded shows now and avoiding live television like the plague. A few hours after the craziness, our showbiz reporter Jason Harper caught up with Kelsey to see if she was coping ok.
JASON: Wow, Kelsey. My sincerest apologies, seriously. I don’t even know what to say. KELSEY: Honestly, don’t worry about it. I’m not going to lie, it was kind of rough but I’ll get over it. Obviously I’m devastated, I would have been devastated about coming second in a more normal way anyway, but the manner in which it happened; wow. JASON: Of course, can you put a finger on the emotions you felt over the course of those few minutes. JASON: You must be the most gracious runner-up of any talent contest in the world, especially under the circumstances. Thanks Kelsey, good luck with everything. KELSEY: Thanks very much, take care. Pronunciation of cardinal and ordinal numbers as well as the alphabet for b2 first practice test.